Biosecurity reflects a variety of measures and best practices relied on by U.S. egg farmers to assure hens are healthy and to prevent disease from entering egg farms. Egg farmers have put an array of biosecurity protocols in place on their farms; from limiting visitors and setting up perimeter zones to monitoring flock health and sanitizing vehicles and equipment. While the biosecurity process is complex, egg farmers’ dedication to disease prevention is rigorous. 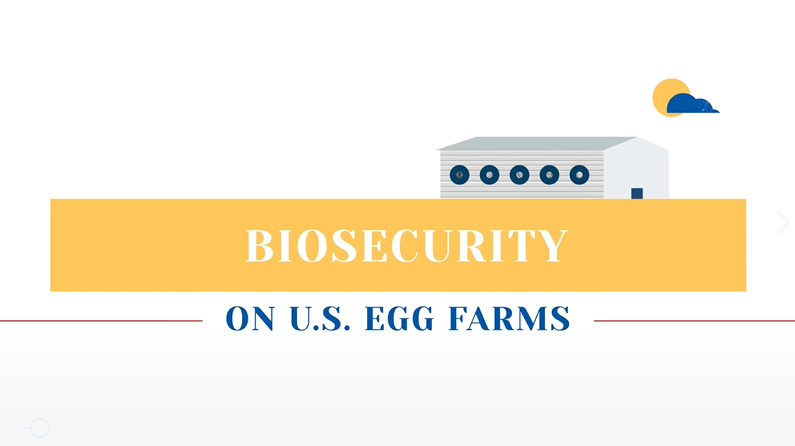 To help customers and the public understand the stringent biosecurity standards implemented on U.S. egg farms, United Egg Producers has prepared a new animated video about the processes and protocols being used. Click below to watch and learn more.